Happy Thursday! Today we’re chatting all about Raspberry Leaf Tea. Have you heard of it before? Perhaps you’re already a fan like me. If you’re brand new to Raspberry Leaf Tea I am excited for you to read today’s blog post and watch today’s video! Raspberry leaf is the leaf of the raspberry plant. This tea leaf has been consumed for centuries to naturally support healthy menstruation, tone the uterus and may be used for menstrual cramps. Drinking raspberry leaf tea before or during your menstrual cycle may help lessen or reduce cramps. Women who are trying trying to become pregnant or are pregnant can be benefit from Raspberry Leaf, being that it can help tone and prepare the uterus for childbirth. To make: Pour 8-ounces of boiled water over 1 tea bag. Cover and let steep for 10-15 minutes. Squeeze the tea bag before removing to ensure you’re maximizing all the nutrients and health benefits. One of my favorite tea brands is Traditional Medicinals. 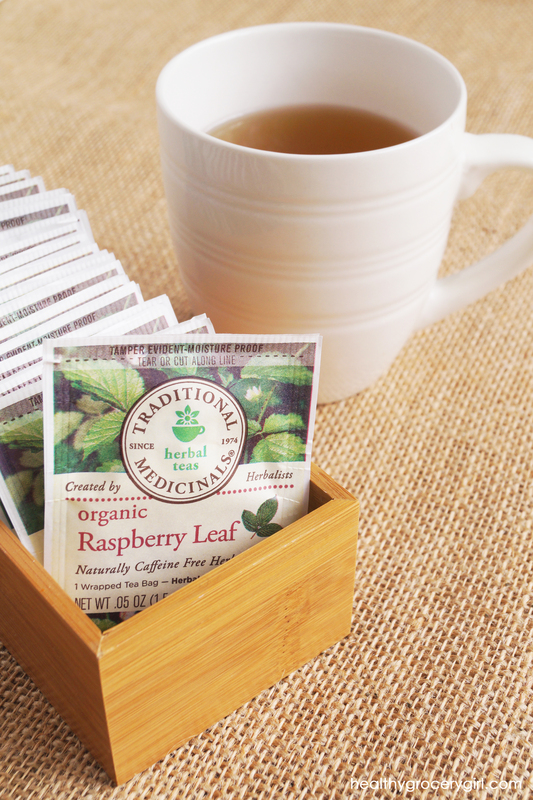 Traditional Medicinals has a Raspberry Leaf Tea that is USDA Organic, Non-GMO Project Verified, Kosher, and Fair Wild. The FairWild Standard certification is similar to the Fair Trade certification, and applies to collectors who are committed to sustainable collection, social responsibility and Fair Trade principles.